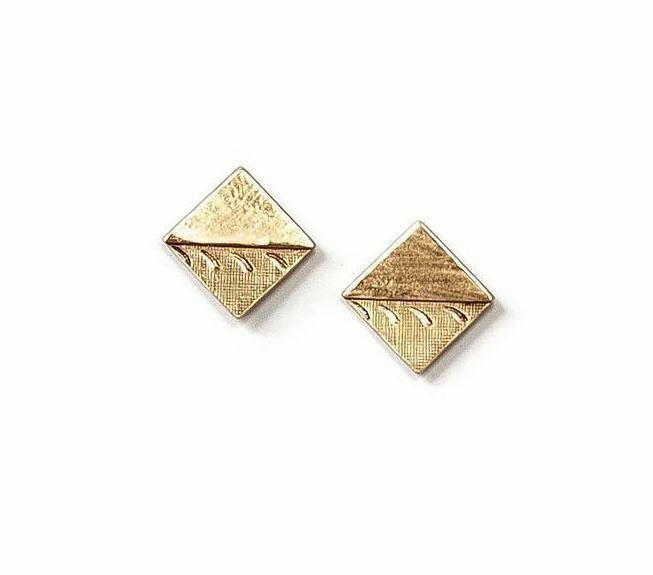 Vintage brass rhombus shapes with texture design on one half. Soldered sterling silver posts and backs. Studs have been polished to a shine and sealed. 1/2" x 1/2".